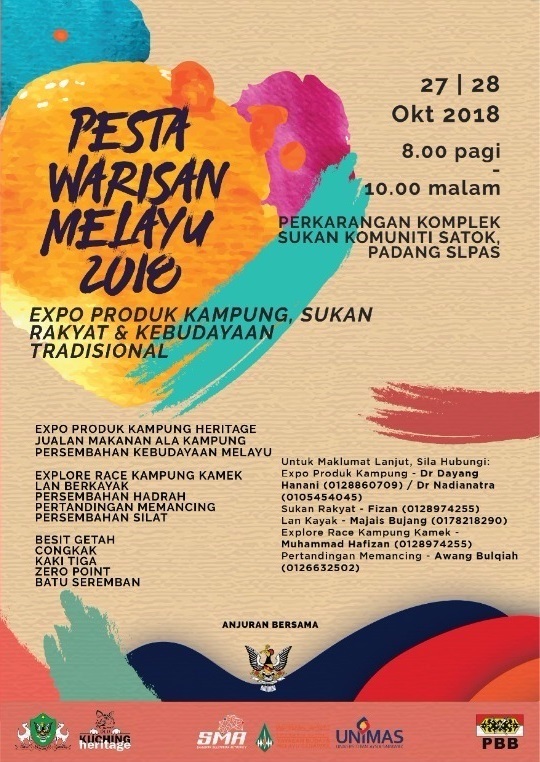 Pesta Warisan Melayu, or the Malay Heritage Festival 2018 will take place on October 27-28 with various attractions spanning the weekend, displaying the rich heritage of the Malay people, with events like food fairs, silat and martial art performances, traditional dance and gendang (drum) performances, fishing competitions, traditional games and many more. 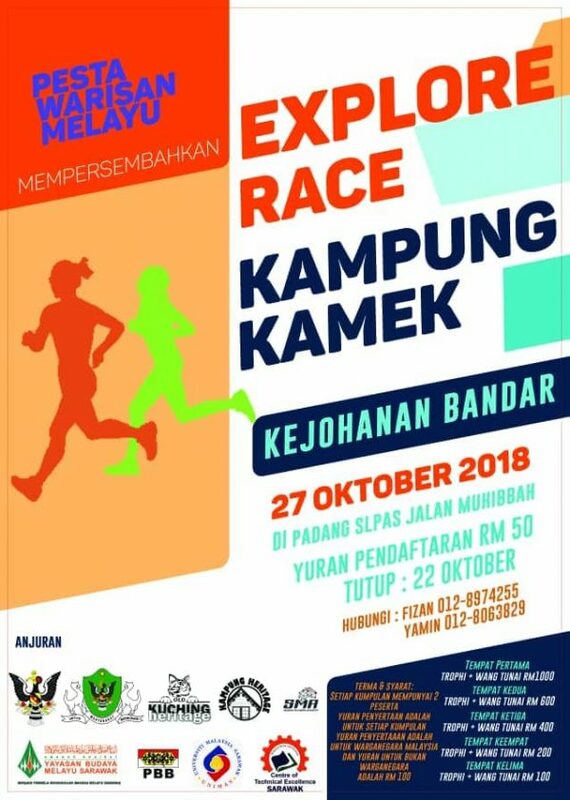 A race that takes you on an exploratory adventure through the traditional villages around the Padang Slpas area, with cash prizes to be won. of drumming and an ad-lib poetry battles, as well as traditional dances and many more performances. 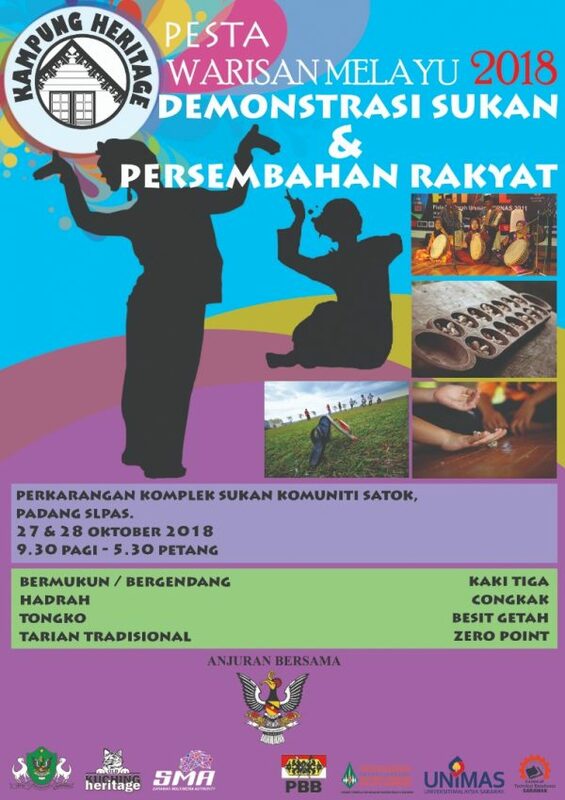 This event also features traditional Malay games like congkak and batu seremban. 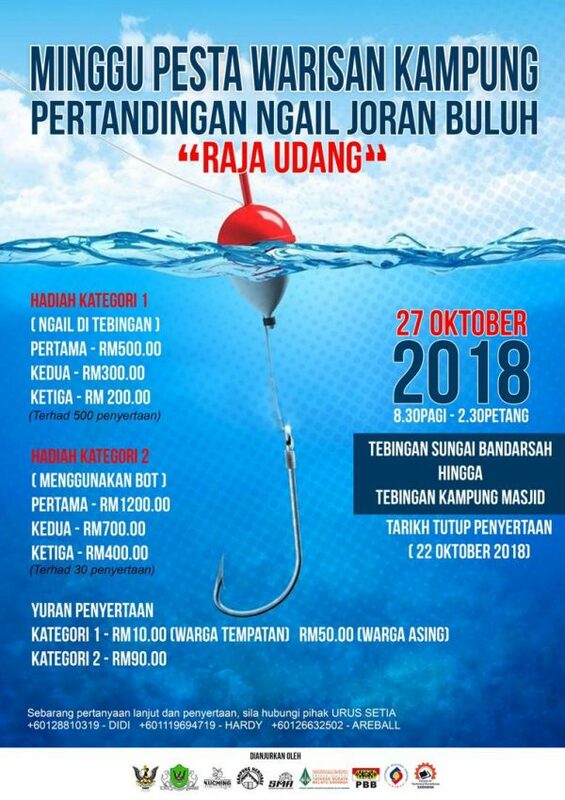 Location: Pangkalan (Jetty) Sungai Lajin, Kampung no. 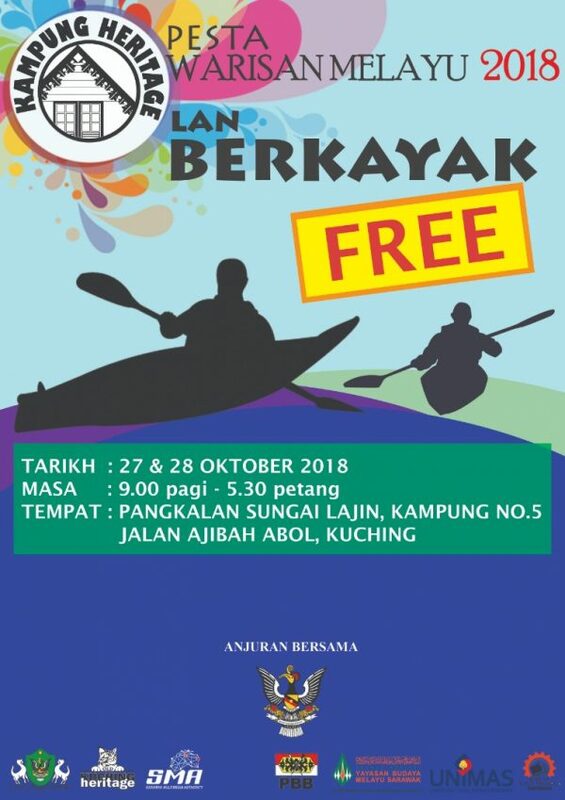 5, Jalan Ajibah Abol, Kuching. 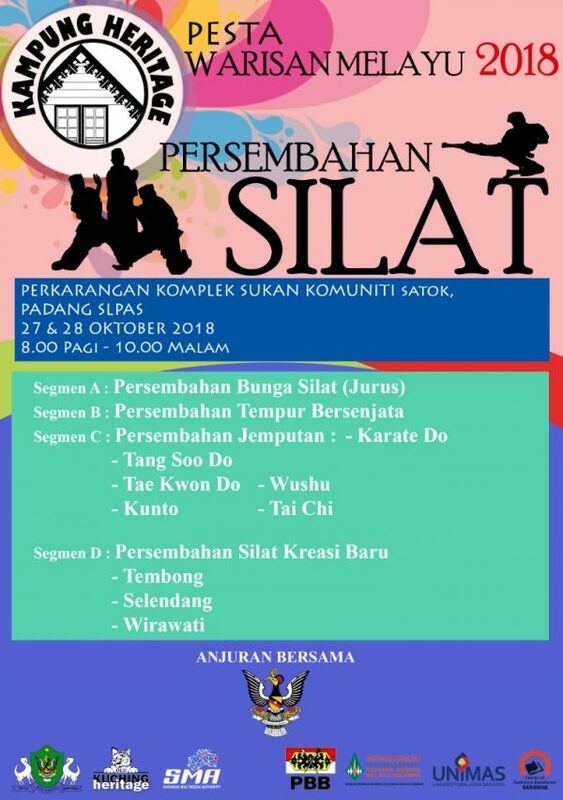 Includes traditional silat performances with and without weapons, karate, tae kwon do, tang soo do, kunto, wushu, tai chi and much more. Location: Tebingan Sungai Bandarshah hingga Tebingan Kampung Masjid/ the riverbank of Bandarshah river to Kampung Masjid. 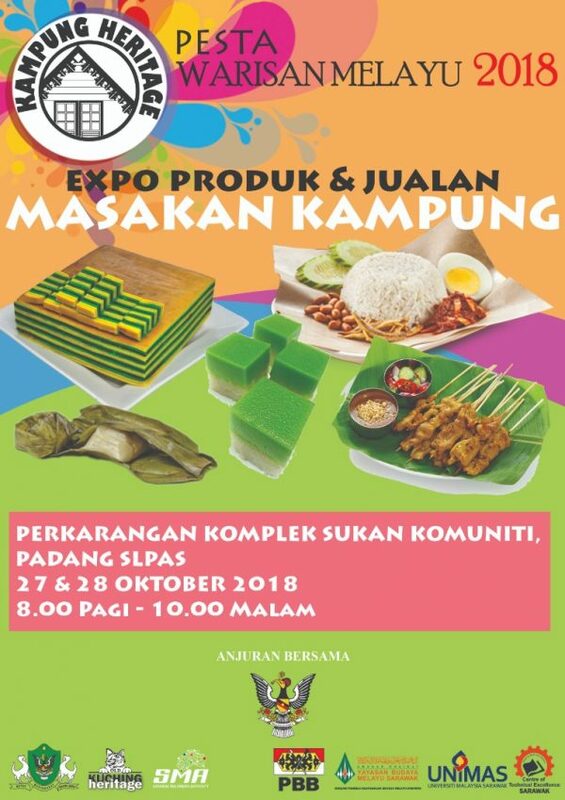 Selling the local traditional dishes of the Sarawak Malay people.